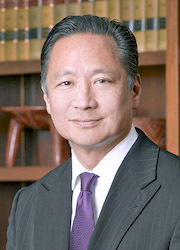 WASHINGTON, D.C. — National JACL, the Northern California, Western Nevada, Pacific District and the San Francisco chapter collectively mourn the passing of San Francisco Public Defender Jeff Adachi, who passed away on Feb. 22 at the age of 59. Adachi was the most highly visible Japanese American elected official in San Francisco and was the only elected public defender in the State of California. He was re-elected four times by the citizens of San Francisco. Adachi was known as the “people’s lawyer,” who gave voice to the voiceless and powerless. To those in society who were invisible, he gave them a place at the table and in the courtrooms. He embraced his role as a watchdog for police and prosecutorial misconduct, always fighting for justice system reform. Adachi always celebrated his Japanese heritage and his roots in the Japanese American community. 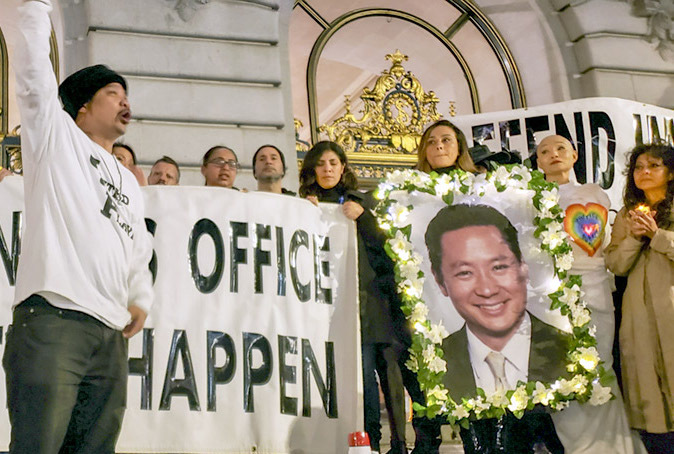 He was involved in and supportive of several community organizations and activities, including the board of directors of the San Francisco JACL chapter. Adachi loved life, his family, his job, his community, his colleagues and friends. He gave fully of himself to everyone and every endeavor. Among the many outspoken speakers was Rudy Corpuz, founder and director of United Playaz, a neighborhood youth empowerment organization, who spoke passionately about Adachi’s fight for justice. The Asian Art Museum also held a memorial tribute dedicated to Adachi’s life and accomplishments at Samsung Hall on March 1. The event featured Adachi’s 60-minute documentary “Defender,” as well as guest speakers that included Francisco Ugarte, immigration attorney, San Francisco Public Defender’s Office; Michelle Tong, deputy public defender, San Francisco Public Defender’s Office; Jay Xu, director/CEO, Asian Art Museum; and Matt Gonzalez, chief attorney, San Francisco Public Defender’s Office. Gonzalez, Adachi’s second-in-command, was appointed by Mayor London Breed to take over day-to-day operations following Adachi’s unexpected death. Breed has not yet indicated whom she will choose to replace Adachi before the seat is filled in the Nov. 5 election. An official memorial was held on March 4 at City Hall. Speakers included Breed; former San Francisco Mayor Willie Brown; Japanese Cultural and Community Center of Northern California’s Paul Osaki; Adachi’s brother, Stan; and Rev. Ronald Kobata of the Buddhist Church of San Francisco.